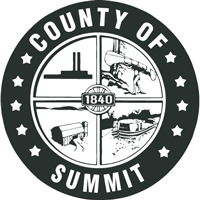 On June 18, 2018 Summit County Executive Ilene Shapiro and Summit County Council passed legislation approving and authorizing the County Executive to execute the 2018 Community Development Block Grant (CDBG) and HOME Investment Partnership Program Action Plan, which will fund various community projects throughout Summit County. The County anticipates receiving $966,416 in CDBG funding, and $440,372 in HOME funding for the 2018 program. The CDBG program began in 1974 and operates through the U.S. Department and Housing and Urban Development (HUD). Housing, infrastructure, senior services, rehabilitation, and business assistance are areas funded through CDBG grants within state and local governments and are targeted towards low-income and moderate-income households. In addition to CDBG, the HOME Investment Partnerships Program assists low-income individuals with affordable housing and is also a HUD program.